Tap on your "Reload" or "Refresh" button to view the latest update! Can Improve All Your Tomorrows! City and County Pool Schedule and phone numbers! 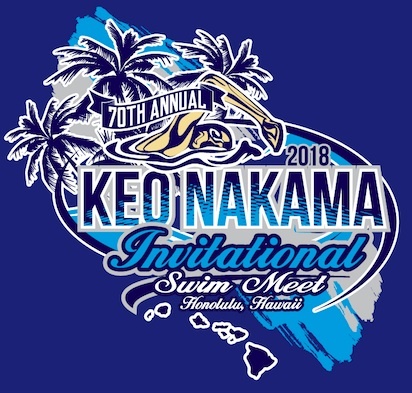 Mahalo to Masters Swimmer: Roger Komori for compiling the information!!! In 1937, a schoolteacher on the island of Maui challenged a group of poverty-stricken sugar plantation kids to swim upstream against the current of their circumstance. The goal? To become Olympians. 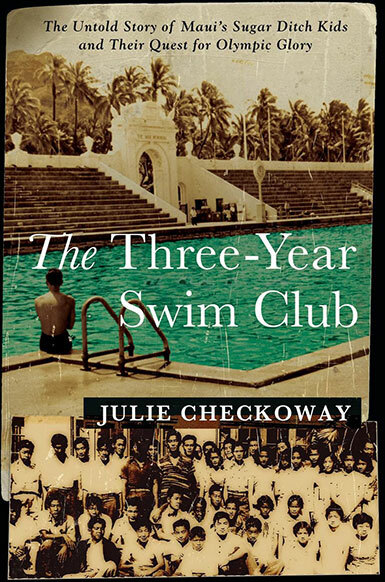 They were the Three-Year Swim Club. This is their story! For "New" parents and swimmers only. Look for VMAC Information and Hours! Swimming from one island to another? 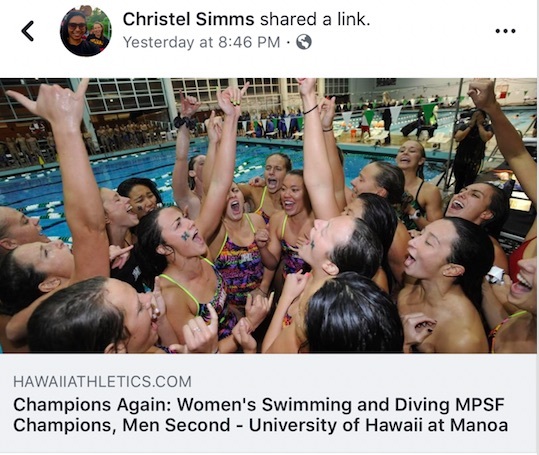 A Small Donation To hawaiiswim.org To Help With Paying For Space On The Internet. MAHALO! March 30-31, s019 SKA Kauai Classic Swim Meet. Big Island Swimming. March 16th. Mahalo to Coach Ann Imoto for the results!! Congratulations to Cynthia Hertzer, crossing the Auau Channel! Mahalo, Karen Perreira for the results! Mahalo Mrs. Saint Marie Gough for the results! Mahalo to Moanalua HS Mrs. Andrea Iwamoto for the results! Mahalo to Coach Fred Tester for the meet results! Mahalo Mrs. Iwamoto for the results! Mahalo Mr. David Wintermeyer for the results! Mahalo to Mr. David Wintermeyer for the meet results! Mahalo, Coach Jeff Meister for the results! Mahalo, Coach Jeff Coakley for the results! Mahalo, Coach Fred Tester for the results! Intermediate School Championships, for Private Schools on O'ahu. Mahalo Coach Earl Seminavage for the results! Mahalo Coach Denny Higa for the results! On the island of Kauai! How is Mokihana Aquatics doing? Mahalo Coach Fred Tester, for the results!! Mahalo Mrs. Stephanie Monahan AND Mrs. Saint Marie Gough for the results! Swim Booklets from past years. 1960 Age group champs, Schofield Sharks 40th reunion and Keo Nakama booklets dating to the 1950's. Still under construction, more to come! Mahalo Dr. Dave Coleman for the results! December 02,. Big Island Swimming! A Salute to all the Veterans and those who are serving! <Army> Ken Suenaga, Pearl City Aq. <Army> Shige Pabila, Pearl City Aq. 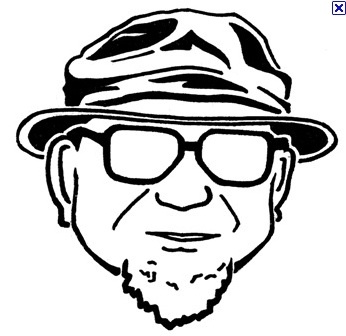 <Army> Larry Oshiro, Manoa Aq. <Air Force> Jenny Warren, Aloha Aq. <Air Force> Lloyd Yonemura, The Molokai Flash! 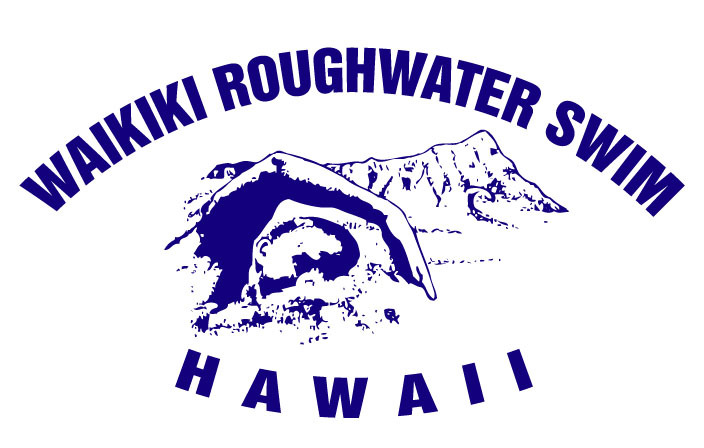 December's Waikiki Double Rough Water Swim! Drive the kids to swim practice and swim meets! Go back home to pickup the suit and goggles. 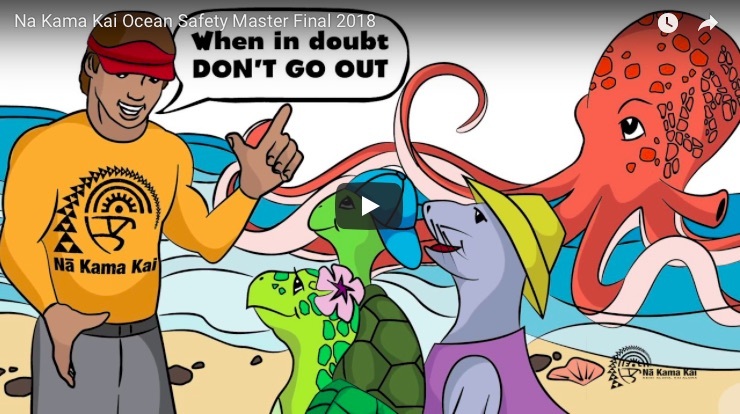 For This Summer, Practice Ocean Safety! Mahalo UH Coach Christel for the video! The International Swimming Hall of Fame, inducts its 2017 Class. Hawaii Swimming Champion, Halo Hirose is inducted! His daughter, Sono Hirose-Huber accepts on his behalf. Hawaii Olympian, Sonny Tanabe remarks! Waikiki Rough Water Swim, for the record! to all you Swim Moms! Waiting with other swimmers until their parents pick them up! On Hawaiian Airlines, the month of June, there's a great article about the sport of swimming in their in-flight magazine "Hana Hou"
The article as it appears in the Hana Hou magazine! In Honor and Memory of those Coaches, Former Swimmers and Parents of the swimmers that have served, and gave the ultimate sacrifice. The Waikiki Natatorium, a monument in memory of all those who served during the wars, from Hawaii! At the Patsy Mink Park Central Oahu Regional Park @ Waipio, the Veteran's Memorial Aquatic Center! 27 Struggles, only a swimmer will understand! 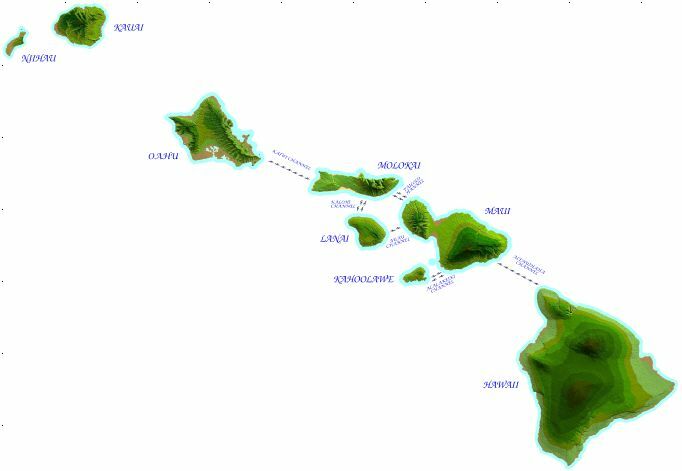 Did your mom or dad swim in Hawaii? How about your grandparents or uncles and aunties. If you live in a hurricane-prone area or have family and friends who do, you know just how important a little help can be when a hurricane is on the way. Now help is in your hand. Be ready for what nature brings with the official Red Cross Hurricane app. Get the app ,it's free! ,and be prepared. 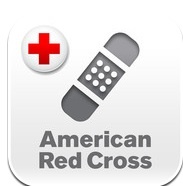 Search the iTunes or Google Play apps store with keyword "Red Cross" and download the app. Encourage students in your classes to do the same ,especially in areas where hurricanes occur. With Hurricane by American Red Cross, you can monitor conditions in your area or throughout the storm track, prepare your family and home, find help and let others know you are safe even if the power is out. Hurricane by American Red Cross is a must-have app for anyone who lives in an area where a hurricane may strike or has loved ones who do. 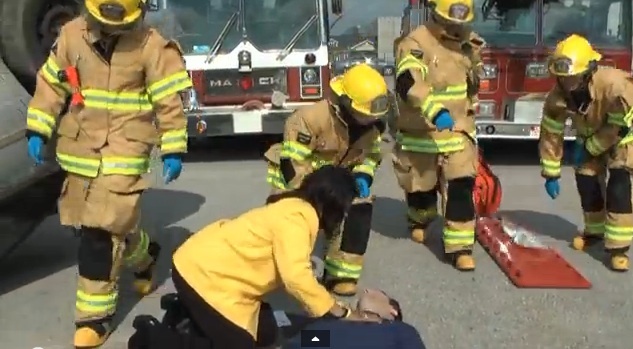 Thanks Earle Yonezawa for the link! You know as well as anyone, accidents happen every day. Burns. Broken bones. Bee stings. With the official American Red Cross First Aid App, you can have expert advice for everyday emergencies in the palm of your hand. Get the app , It's Free! and be prepared for what life brings. Search the iTunes and Google Play app stores with keyword: Red Cross and download the app. Download and rate the app today and ask your family and friends to do the same. Swimming from one island to another, in Japan! 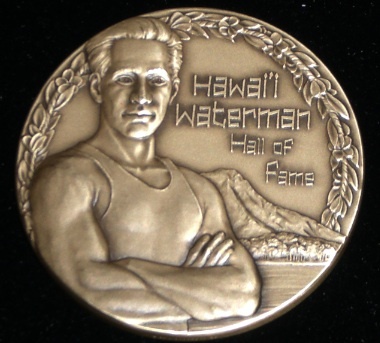 Two swimmers were inducted in the Hawaii Waterman Hall of Fame. Duke Kahanamoku and Keo Nakama! The Outrigger Duke Kahanamoku Foundation present the Hawaii Waterman Hall of Fame celebrates individuals whose contributions to water-sports unite, Inspire, and remind us of the unique opportunities our oceans provide our communitites. The formation of the Hawaii Waterman Hall of Fame. Remember this MidWeek newspaper highlight potter Jeff Chang. But they never mentioned his high school swimming career! Jeff swam (Breaststroker) for the Lab School at the University of Hawaii. 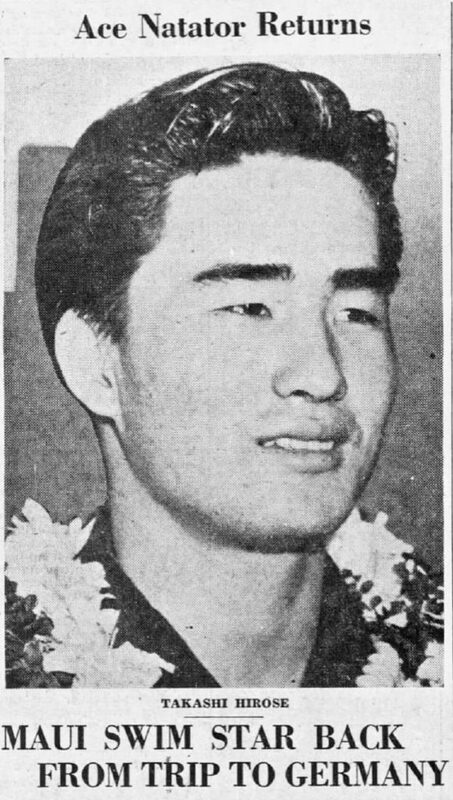 His team mate, current Senator Norman Sakamoto! 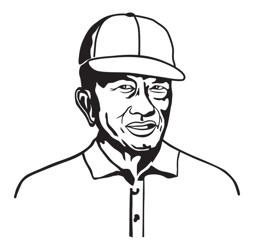 A tribute to Coach Soichi Sakamoto. Swimming from one island to another - solo. These are the long distance, marathon athletes that swim the Hawaiian Channels! 2019 University of Hawaii Swim Clinic! If you're in that part of the world or, make it a date for 2020! 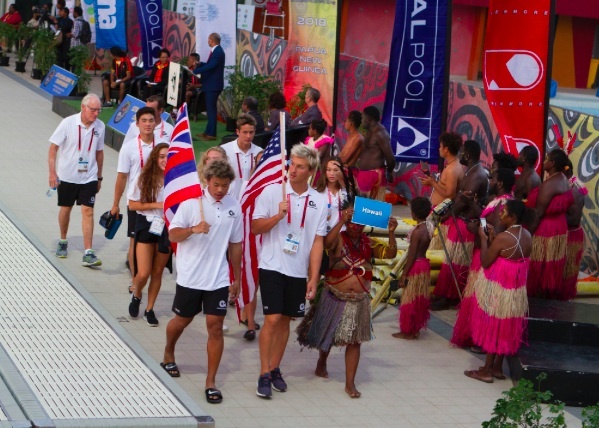 I would like to request your support in promoting the Arafura Games to all Oceania nations as we rely on their participation for these Games to be a success. I have attached a swimming specific information flyer that can be distributed to your database as well as the website as it holds the majority of event information. The island of Maui, 44th Annual Coach Soichi Sakamoto Invitational. Mahalo Coach Malcolm Cooper for the results!! Big Mahalo to all the Officials that volunteered, this weekend! Thank you to the Coaches, Parents and Swimmers of HSC that helped with the "Clean Up" party!!! Mahalo Mrs. Stephanie Monahan for the results! Mahalo Mrs. Saint-Marie Gough for the results! Thank you to all the volunteer timers and Swim Officials! Hawaii Swimming Hall of Fame Invitational! Mahalo Coach Ernest Chueung and Dr. Dave Coleman for the results! Mahalo Saint Marie Gough for the results! Mahalo Mrs. Andrea Iwamoto for the results! He sat and watched the butterfly for several hours as it struggled to squeeze its body through the tiny hole. 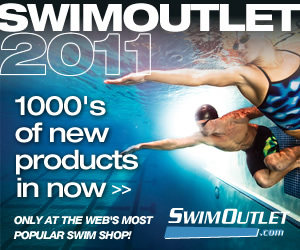 January 1996 - December 2010 = 1 Million Visits! Yipee!